Modern art is a disaster area. The thing I hate the most about advertising is that it attracts all the bright, creative, and ambitious young people, leaving us mainly with the slow and self-obsessed to become our artists. Modern art is a disaster area. Never in the field of human history has so much been used by so many to say so little. 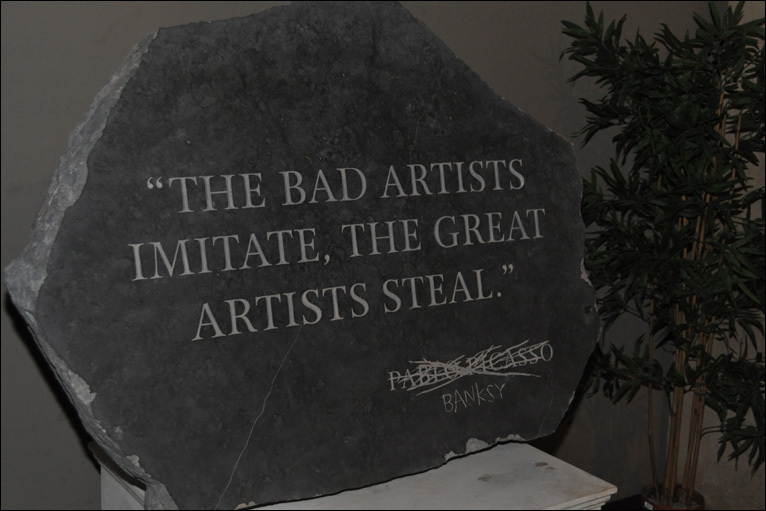 Bansky is a brilliant anonymous street/fine artist. Saw some of his street art in London -- incredibly subversive and prescient. I'm loving the Paris Hilton stunt he pulled in the UK... brilliant.